We had an Epic 21st in Las Vegas March 13-14th! Thanks for the excellent dialog, laughs and content sharing from all IBAA members and sponsors who attended our 21st Annual IBAA Conference! A big takeaway was the shared opportunities in free media buying platforms like Adstruc, and Do Media, to streamline our industry and and get in front of agency buyers. Our roundtable with Media Buying professionals, and shared input NewAd‘s Brian Wyatt, drove home the planning process, and best practices for keeping listings up to date on free media platforms. Indoor Advertising is really “Social Media” as we’re targeting consumers while they are out socializing and spending money. And despite the distraction of online, people are still social animals, searching for real time ways to get out and visit bar-resto venues. We had key insight on utilizing social media tools to amplify and create enthusiasm for the social side of indoor from Anvil Media‘s Kent Lewis. We’ve opportunities to engage our ad readers, to broadcast our medium and and tie it in by sharing campaigns via Instagram, Facebook, Twitter, LinkedIn and Youtube. (Check out the new IBAA Instagram page @indoorads and tag some of your best indoor campaigns!). We had additional support from conference sponsor Trusign, with representative Scot Collins sharing their Digital Display monitors configured for Restroom/Indoor Advertising and are now being implemented in some IBAA Markets. Other key sponsors included Valley Industrial Products (suppliers of adhesive tape products utilized by IBAA members for frame installation), SnapDisplay Frames(suppliers of tamper-proof indoor frames), 11Online(developer of the new www.Indooradvertising.org website), and A-Holes (an ancillary bar-entertainment opportunity). I’d like to congratulate your new IBAA President, John Jolley from Big Guys Inc., who’ll be taking over the masthead position from the stellar Ruben Garcia(Johnny Boards), who has served as our president past 4 years. John will work with me to keep the IBAA branded and moving forward with Ruben’s sage input. Congrats also to officer/board positions for Deborah Johnson, Whizz Ads (Vice President), Brok McFerron, BillyGoat Group (Secretary), and Tim Shoemaker, Headlines Indoor (Treasurer). 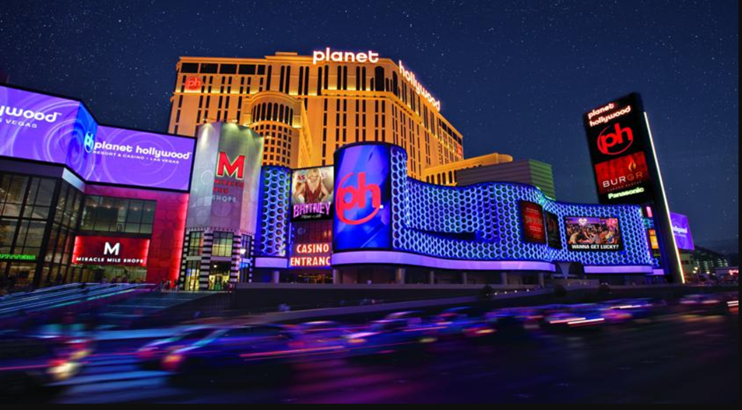 Thanks to David Turner, Johnny Advertising/SnapDisplay Frames for helping coordinate the on the ground details and our lodging packages at Planet Hollywood! It was a great setting for our event and David was key in making it come together. We’re poised for a great 21st year for the IBAA and I’m excited to keep spreading the word and great campaigns for advertisers! Cheers to the IBAA and more Indoor in 2018!